Bali is synonymous with beaches, while Bali also has a lot of very beautiful high mountain, one of which is Mount Agung. Mount Agung is the highest mountain in Bali. 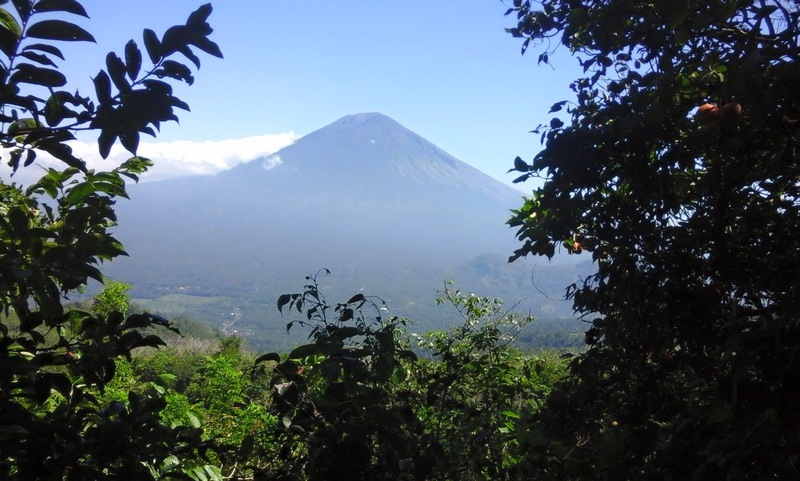 Mount Agung is also a very sacred mountain by the people of Bali. Since it is considered as the abode of ancestral spirits and gods. Mount Agung in Bali is the volcano is still active. This mountain could erupt at any time without predictable. This mountain has a crater at the summit. Although still expressed active, but many people who live around this mountain. Gunung Agung has perfect form if dilihta from a distance. Shaped like a cone, although at the bottom of the mountain have irregular shapes. The shape of Mount Agung is also very beautiful when seen from a distance. Rice field with mountain background gives the impression that Bali is a very fertile island and make a very prosperous citizens. Gunung Agung be a place to climb by the climbers. This mountain can climb up to the summit in just one day. There are many hiking paths leading to the top of the mountain. However, on the holy day of the Balinese, the ascent of Mount Agung will be closed, to maintain the sanctity of this mountain, because the Balinese belief that when the holy day, the gods would come down and stay at Mount Agung. Great Mountain peeking from behind the trees like watching a great empire surrounded by a fortress of wood. Bluish color of the clouds at the top, making the mountain is very beautiful when seen from a distance.